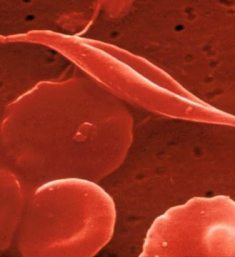 (CNS): According to Public Health statistics, there are 41 people affected by sickle cell disease in the Cayman Islands. It is a chronic disease, which is managed by treating the symptoms and helping those afflicted to cope. Screening started locally in the early 1970s for high risk families. Since the 1980s all students are tested before starting school and in 1997 routine newborn screening began. “This has greatly helped in early identification of sickle cell trait and disease – which is important so people can access the appropriate counselling and treatment available,” said the genetics coordinator, Joy Merren, Sunday, as Cayman observed World Sickle Cell Disease Day (19 June) in an effort to raise awareness about the world’s most common genetic disorder. Cayman has a SickleCell Support Group that meets around three to four a year offering support to patients and families as they share experiences in coping with sickle cell disease. “Also included are educational presentations on awareness and management of the disease,” Merren added. The next meeting of the local sickle cell group is planned for Tuesday, 21 June 2011 at 7:30 p.m. in the Public Health Waiting Room at the Cayman Islands Health Services Authority and is open to the public. For further information, please contact Joy Merren on 244-2630 at the Public Health Department.